1 Bdrm Grnd flr Flat. Hall. Lounge. Kitch. Bdrm. Shower rm (CT band - A). Garden. Parking. Price around £102,500 Entry by arr. Viewing contact solicitors. (EPC band - D). 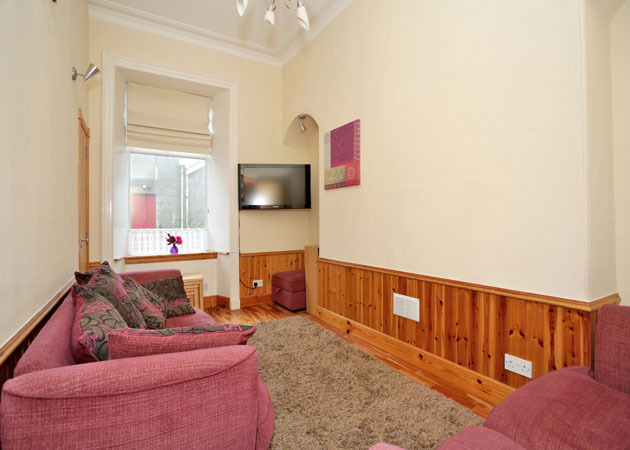 Enjoying a prime City Centre location with a variety of amenities on its doorstep, this ONE BEDROOM GROUND FLOOR FLAT has been well maintained and upgraded and offers a comfortable home, which is compatible with the modern lifestyle. The property features neutral décor and will be sold inclusive of all carpets and floor coverings, fitted blinds, light fitments and kitchen white goods. The property would represent an excellent first time purchase or letting investment and worthy of note most items of furniture may be available under separate negotiation. Skene Terrace is a popular location which is well served by a wide range of speciality shops and by public transport facilities. 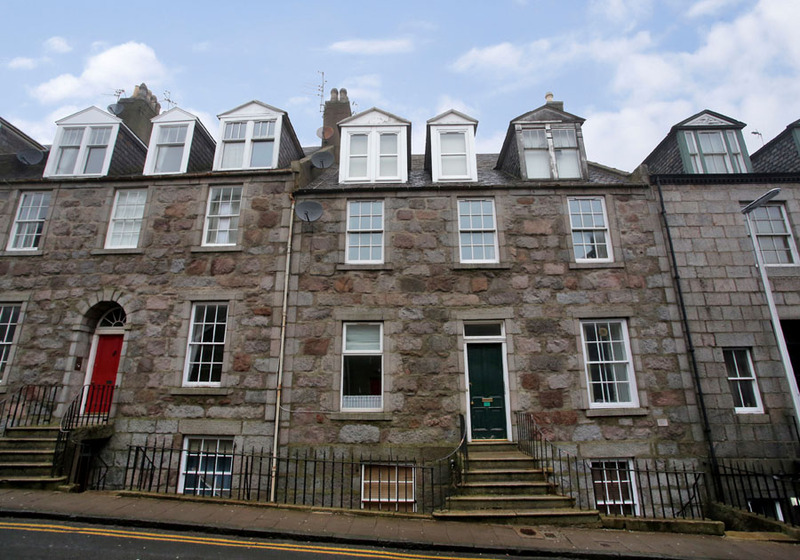 The location offers easy accessibility to most parts of Aberdeen City by a variety of arterial routes and the City Centre with its pubs, clubs, restaurants and leisure facilities within relatively easy walking distance. Foresterhill Hospital is also located nearby, as are the Westburn and Victoria Parks with the many sporting and recreational attractions. DIRECTIONS From the middle of Union Street exit onto Union Terrace and continue to the end. Exit sharp left into Skene Terrace, Number 42 is along on the right hand side. ENTRANCE HALLWAY: A hardwood door opens to the Entrance Hallway which leads to all accommodation. Built in shelved storage cupboard, light fitment, smoke alarm, Oak wood flooring. LOUNGE: 16’ x 9’1” approx. The bright airy Lounge has an outlook to the front of the property, is presented in neutral décor complimented by solid Oak wood flooring and has the advantage of a large built in storage cupboard with shelving housing the Freezer which will be included. Light fitment, fitted blind, wall lights into alcoves, wall mounted television, pine linings to dado height. KITCHEN: 9’ x 4’ approx. 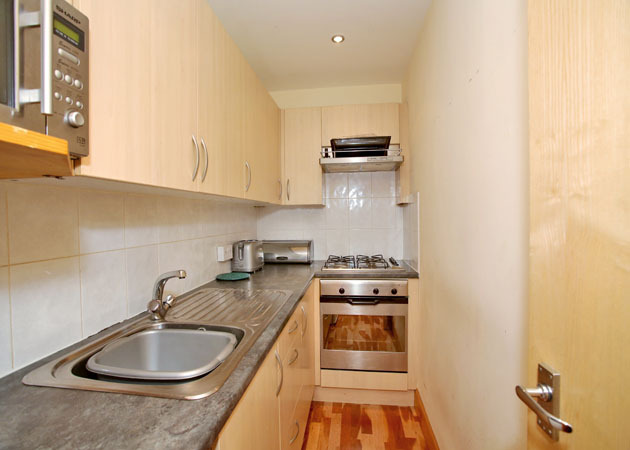 Centrally located, the Kitchen is fitted with a range of modern base and wall units which incorporate work surfaces with splashback tiling behind and stainless steel sink unit with drainer and mixer tap inset. The units further incorporate a built in Oven, Gas Hob with Extractor Hood above and the freestanding Fridge will be included in the sale. Downlighters, Oak wood flooring. DOUBLE BEDROOM: 13’11” x 12’1” approx. 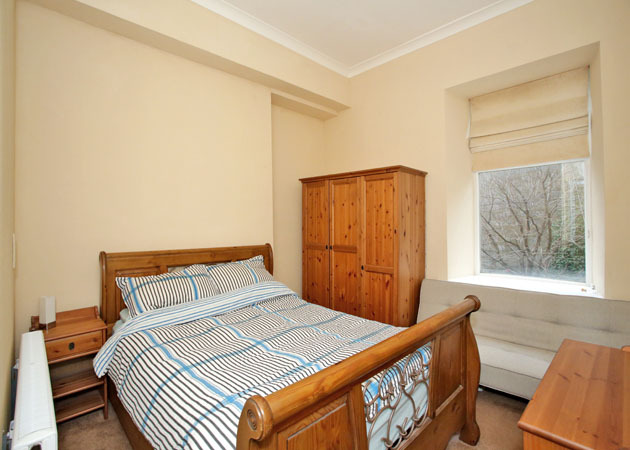 Excellent sized Double Bedroom to the rear presented in neutral décor with complementing fitted carpet. Light fitment, fitted blind. SHOWER ROOM: 6’11” x 4’1” approx. 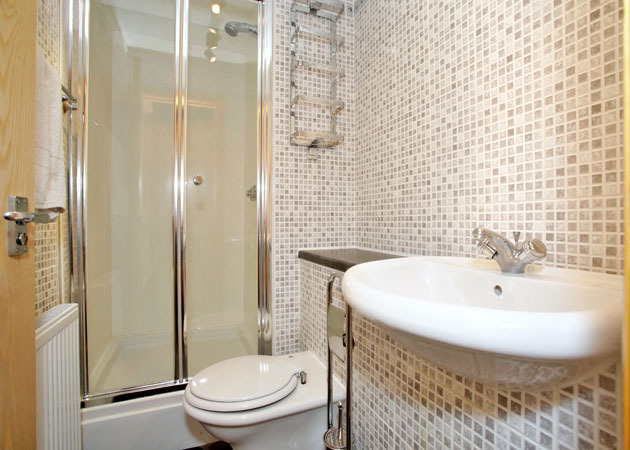 The Shower Room features a modern white suite comprising shower enclosure, w.c., and wash hand basin set into a vanity unit, light fitment, extractor fan, attractive wall and floor tiling. REAR GARDEN: The property has the use of a shared Garden to the rear which is mainly laid to lawn. There is also a shed belonging to the property, which houses the Washing Machine and Tumble Dryer, both to be included in the sale. GENERAL: All carpets and floor coverings, fitted blinds and light fitments together with the kitchen white goods are to be included in the sale.